Despite the fact that yoga has been around for thousands of years in various parts of the world, new people continue to discover it each day. Even for those of us for whom yoga has been part of life for years, each new practice can enlighten us. While this undoubtedly comes from the nature of yoga itself, a session’s musical accompaniment can serve as an integral part of the learning process for yogis. Fortunately for yogis who recognize this connection and even those who don’t, Putumayo World Music, the 1993 extension of the Putumayo clothing company, is set to release an amazing new album this Tuesday (October 30) made just for yoga lovers. 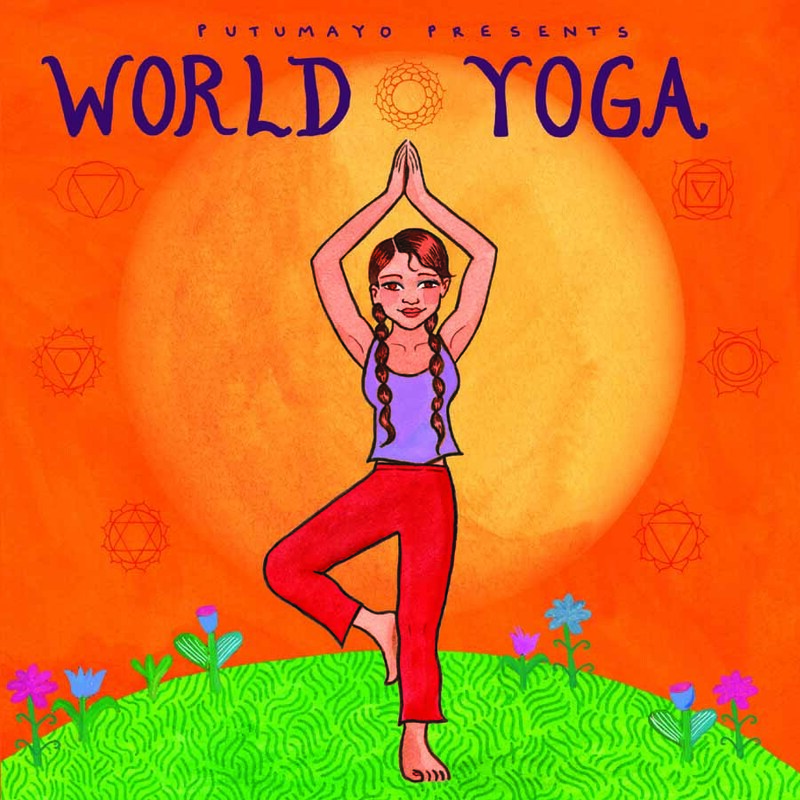 World Yoga, a compilation of calming music from around the globe, is composed of 15 tracks determined to complement the progression and balance of a proper yoga session. Whether in calm, breath-aware child’s pose or the ever-feared chair pose, the sounds of World Yoga only help yogis to release the stresses of the outside world and invert focus to where it matters. World Yoga features a well-chosen medley of soft, strong vocals; melodic guitar strumming and delicately irresistible beats among other sounds perfectly suited to the ancient Indian practice so many now embrace with open arms. For those with an established yoga practice, World Yoga will deepen the sense of strength and peace derived from a good practice and add to the overall feeling of well-being, accomplishment and contentment that follows routine. For yoga beginners, a more appropriate album cannot be found to assist in opening the heart, the lungs and the body to this amazing practice in awareness, calmness and peace.